I am excited to be participating in another fabulous giveaway with some great Bloggers!! But BEWARE…this is one of my last giveaways for awhile. So if you are interested in putting your name in the hat, enter below!! Please leave a comment and tell us what you would love to buy with your lucky winnings. You must ONLY leave a comment, but completing other or all tasks will give you extra chances to potentially win. BTW…because I have so many posts that went live yesterday (Sunday) and are going live today…there will not be a Home Tour Tuesdays Feature this week! Stay tuned until next week when we are back on track!! 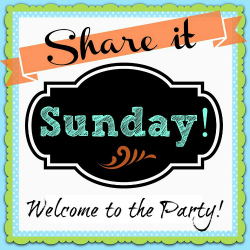 Be sure to stop by Share it Sunday to Peruse to Be Inspired or Link up to Inspire others!! 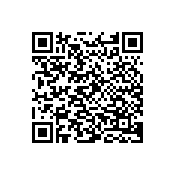 We are getting ready to sell and move to a new house. I would save it for something new in the new house. I am sure I will need ALL new…..at least that’s what I’m telling my husband….lol! I would probably use the money towards our next year’s homeschool books. Beth…that is admirable that you teach your children. Whew! Good luck! 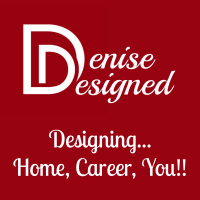 Thanks for sponsoring this giveaway, Denise!! I would use the money for my Haven trip! Nice! i could use some cash for Haven as well. Did register. Looking forward to seeing you. Fingers crossed! If I win, it’ll help pay for this chest of drawers I have my eyes on. Thanks Denise. Awesome Michele! Good luck then. Is it one that you would re-do? Or is it already complete. That sounds awesome Charlotte! I have been wanting this wine cabinet so I know the feeling. Good luck! I really want to take a vacation! Oh so do I Rebecca! Good luck then!! I would give it to my daughter and son in law who just bought their first house. That’s exciting Connie! How fun! Thanks for entering. And good luck. I would have to use it to fix our heating & air. It has been out for a week now & is going to cost more than I have to get it fixed. So I would definitely use it on that & be happy to. Hmm, I would use it for our Disney vaca, woot, woot! Ohhhh thats a good one Allie! If I could enter, I would use it for a vacation as well! I hope you do as well Allie! Great. Well good luck Erlene!! Keeping my fingers crossed. a big girl bed for my granddaughter! I would probably put the money toward home projects already in the works.